The weather again played havoc with the plans. Instead of Loch Long we rescheduled to Lomond Shores on the 18th where the youngsters enjoyed a lot of games with Euan, Robin and Tim. Geoff, Stewart and Adele pushed over to Inchmurrin in the face of a stromg breeze. A good if cold time was had by all. 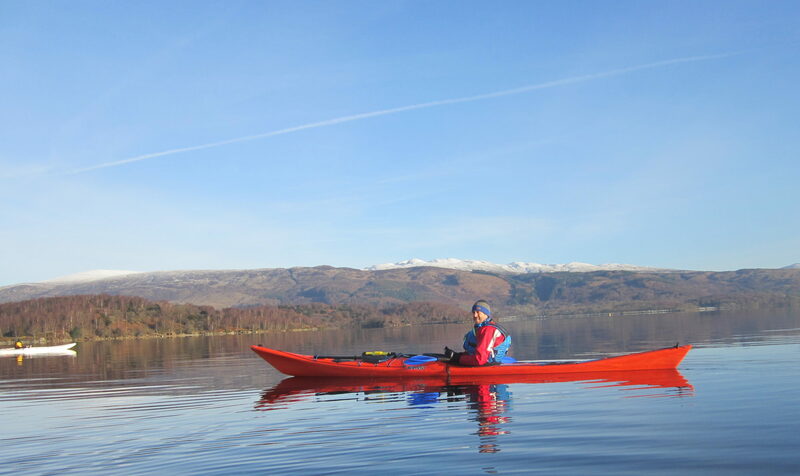 With one week remaining we had both Loch Long and Canoe training to cover. Given the expected use of canoes for the camp, the latter option at Luss was chosen. Once again Robin, Euan and Tim did the coaching along with Mike (H). Meanwhile Geoff, Adele, Stewart and Allan (?) did a tour round the outside of the islands with a short stop at Inchcruin. Just to the south of the jetty two Ospreys took off and circled above us. All reconvend at just after 9pm when the midges had a field day.